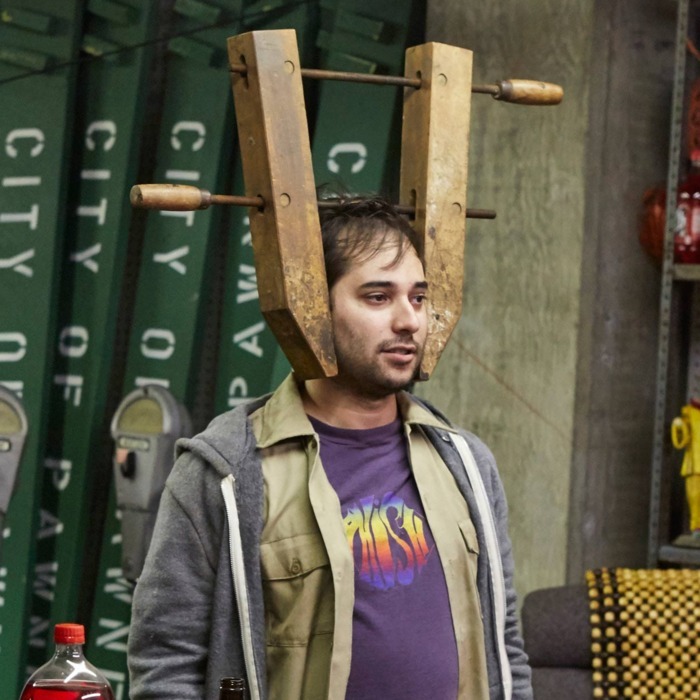 I don’t remember finding out that 30-year-old comedian and Parks and Recreation writer Harris Wittels died last night; I just remember sitting there, knowing. Next thing I knew, I was looking at Twitter, where it felt like everyone — those who knew and loved him, and those who didn’t really know him and felt the same — was going through his feed, retweeting their favorite jokes. I can’t say I knew Harris. He was actually one of the first five people I ever interviewed, and I can say from that experience he was unnecessarily patient. But beyond that, I knew him the way much of my feed did: through hours of hilarious, genuine, and singular podcast appearances. And I point you to those — namely, his appearances on “Comedy Bang! Bang!” and Pete Holmes’s “You Made It Weird” podcast and the episodes of his own podcast, “Analyze Phish” — if you want to get to know him on some level. Again, I didn’t know Harris, but I get a sense that the humblebrag creator would hate some bro he didn’t know waxing poetic about his struggles (you can hear him talk frankly about his addiction on this episode of You Made It Weird) and how he was a comedy wunderkind who just burnt too bright. So I won’t. I’ll say that Harris Wittels wrote some of my favorite jokes. Jokes that made so much sense to me on a fundamental level of who I was and what I found funny. I’d Gchat or text people one joke — “If there’s a will, there’s a Wayans” — to determine if we could be friends. (That joke is from the classic “Comedy Bang! Bang!” episode “Farts and Procreation,” which I re-listen to annually, as it is so taste-defining and so, so funny.) Which is why I suggest, if you really want to get a sense of what made Harris so special to his fans, listen to this playlist of every Phone Corner/Foam Corner from his “Comedy Bang! Bang!” appearances. For some context, Phone Corner started as a bunch of ideas and half-jokes that Harris texted himself that he thought were not good enough to say onstage. The jokes were bad, but the best bad. To some, however, bad jokes are just bad jokes, and the segment became slightly divisive. They eventually did a joking poll asking if Harris should never be allowed to appear again, if he should continue doing Phone Corner, or if he should do Foam Corner. The name changed, but the jokes stayed essentially the same. Before you go download all of the Harris Wittels podcast episodes you can find or go back and watch the Parks and Rec episodes he appeared on or got a writing credit on (in those episodes, there’s always one joke that is unmistakably Harris, especially if Perd Hapley is in it), I want to bring up my absolute favorite moment in podcast history. In “Comedy Bang! Bang!” episode No. 156, Harris did a Foam Corner to an audience of Zach Galifianakis, Nick Kroll (in character), and St. Vincent. After an actually very good joke, host Scott Aukerman taunts Harris a little: “We’ve never had an edition of Harris’s Foam Corner where you didn’t have at least eight terrible ones.” Harris responds, “Okay, here it goes,” and you can tell he’s smiling, because he knows what’s coming. The joke he then tells, which I won’t spoil (start listening to the below at 1:18), is so rough, so groan-worthy it results in an audible moan-sigh hybrid from St. Vincent, as if to say, “Why me?” Harris loves it.